I recently received a gift of a book from my esteemed fellow-blogger Maxminimus. 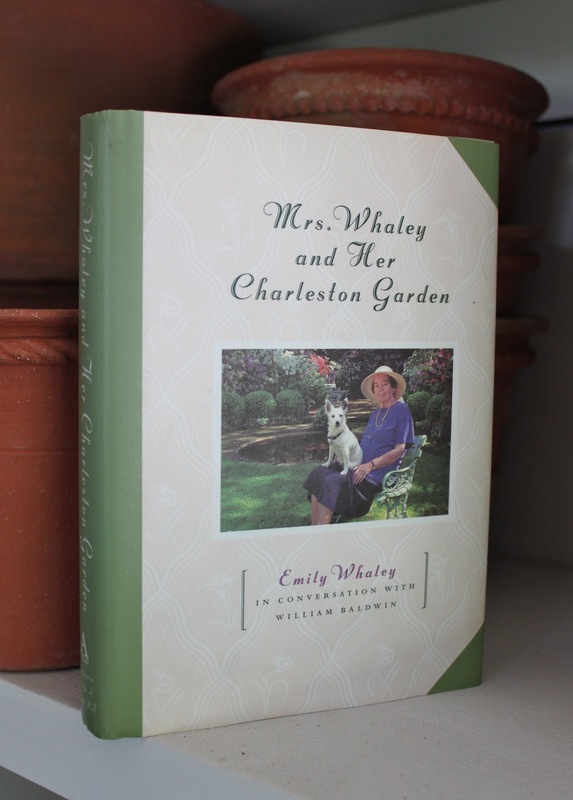 Titled Mrs. Whaley and Her Charleston Garden, the book is ostensibly about the author's justifiably famous garden in Charleston, South Carolina. But it is more than that. It is a charming and thought-provoking memoir that delves into Mrs. Whaley's past, her family, her marriage, and her philosophy of life. Maxminimus sent it to me, he said, because of the post I wrote awhile back, on Charleston Receipts. He thought I might like it. And he was right. It is not a particularly weighty tome, but it is one that resonates and ripples beyond its covers. I highly recommend it to you, Dear Reader. 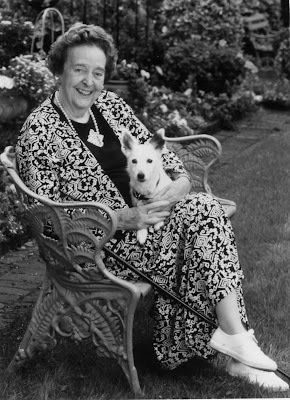 Mrs. Emily Whaley, who died in 1998 at the ripe age of eighty-seven, was of a vanishing breed of women that once spread throughout this country, whose population has been sadly depleted by the passage of time, the spiraling cost of living, and the supposed benefits of "progress." She was of a class of women, largely wives and mothers, who were raised in a culture that valued tradition, continuity, self-discipline, service to others, and positive thinking. While some, like Mrs. Whaley, were raised in affluence, it was not a prerequisite for belonging to this breed of women. 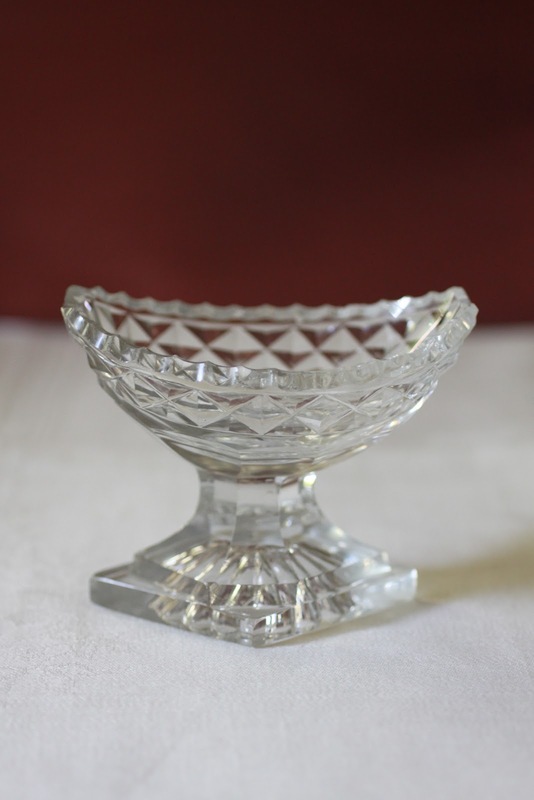 An appreciation for thrift and economy were also among its hallmarks. They planned ahead. I was quite charmed by Mrs. Whaley's book, the stories she tells in its pages, and the nuggets of wisdom she shares. The book is full of her keen observations and sensible opinions on matters ranging from working with others, marriage, raising a family, faith, getting involved, and being active. She genuinely liked people, was appreciative of the advantages she had either been given or worked hard for, loved her dog Rosie, and didn't take herself (or others) too seriously. She was happy to poke fun at herself. And she was a worker, too—whether it be in her garden, helping out family members or friends, or toiling on behalf of a worthy cause. In short, Mrs. Whaley was a lady. In the very best sense of the word. She was someone that one would be proud to have as a mother or as a wife. And she was a person that one would most certainly be honored to count as a treasured friend. 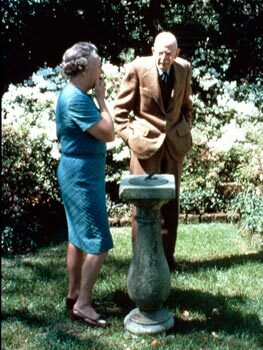 Thank you, Maxie, for introducing me to the delightful Mrs. Whaley. Reggie is sure that you will enjoy Mrs. Whaley's memoir as much as he did, Dear Reader. It can be ordered here from its publisher, Algonquin Books of Chapel Hill. It is also most likely available in print and on ebooks at your local public library. For many years I've collected Paris Porcelain. I inherited some that was passed down from my great grandmother Giggy, but I've added a lot more over time. 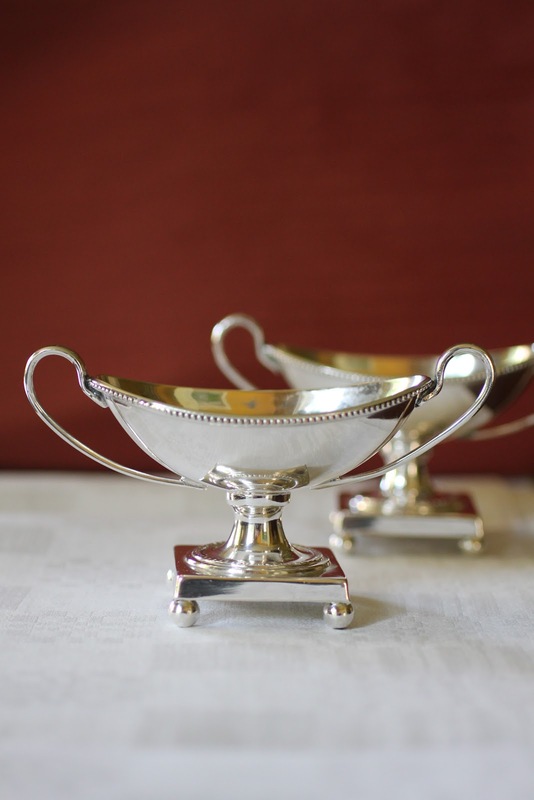 Made in France in the 19th century, what is today known as Paris Porcelain was highly popular in this country in the decades leading up to and following the Civil War. 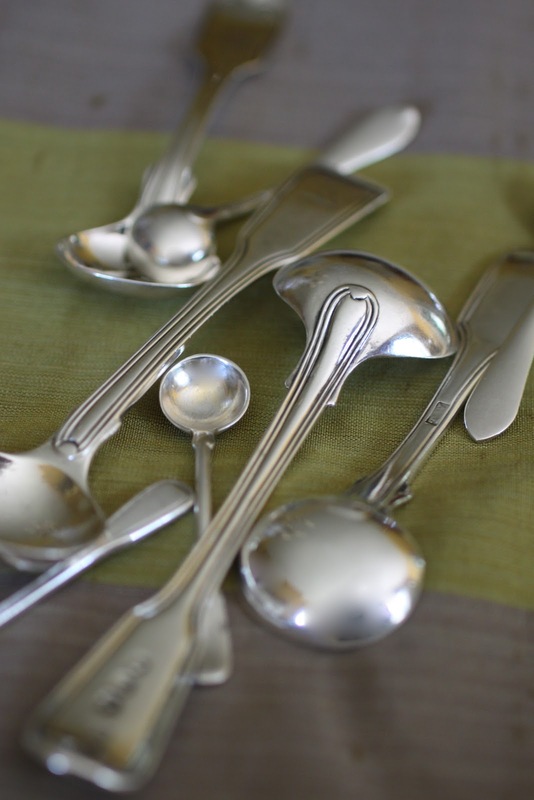 Millions of pieces of it were shipped to America, often in blanks awaiting decoration. Much of it was painted after it arrived on the shores of the young nation, and was most frequently decorated with gold rims and circles within the interior, as shown in the photographs accompanying this essay. 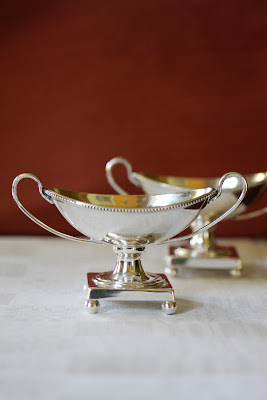 Known commonly as "Wedding Band China," a name prompted both by its decoration and the frequent giving of it to newly married couples, this type of Paris Porcelain makes a regular appearance at our meals at Darlington House. 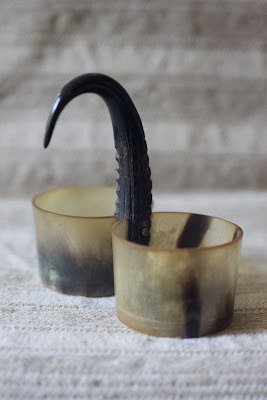 I recall seeing an article many years ago in Martha Stewart Living magazine about collecting Wedding Band China, but I've not been able to locate the issue. We didn't start saving issues of the magazine until the spring of 1998, shortly before we bought Darlington. Why do I collect this china, you might ask, Dear Reader? Because I have fond memories of eating off of it as a child in the house I grew up in, and because it is (or once was) readily available on the East Coast at (generally) very reasonable prices. Also, it sits right in the middle of our collecting period for such things. Furthermore, having stacks of it on hand is most convenient when throwing large buffet parties. 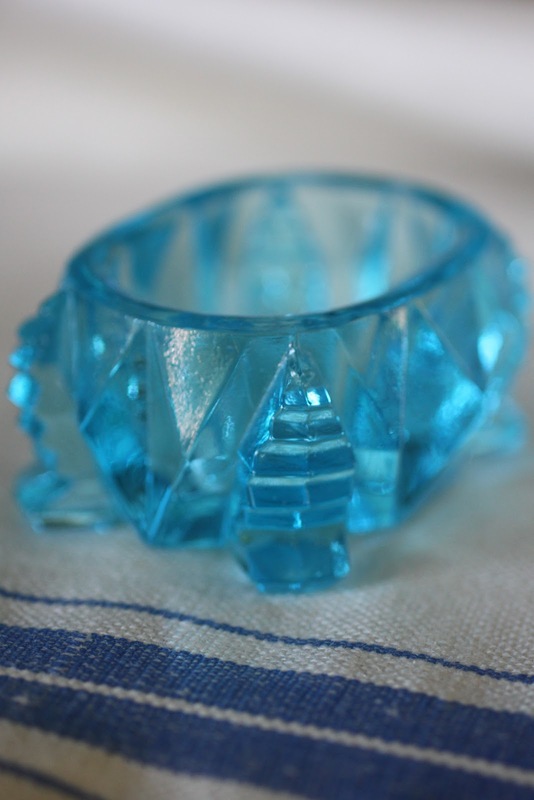 Wedding Band China can be found at tag sales, at yard sales, in junk shops, in group shoppes, and on eBay. 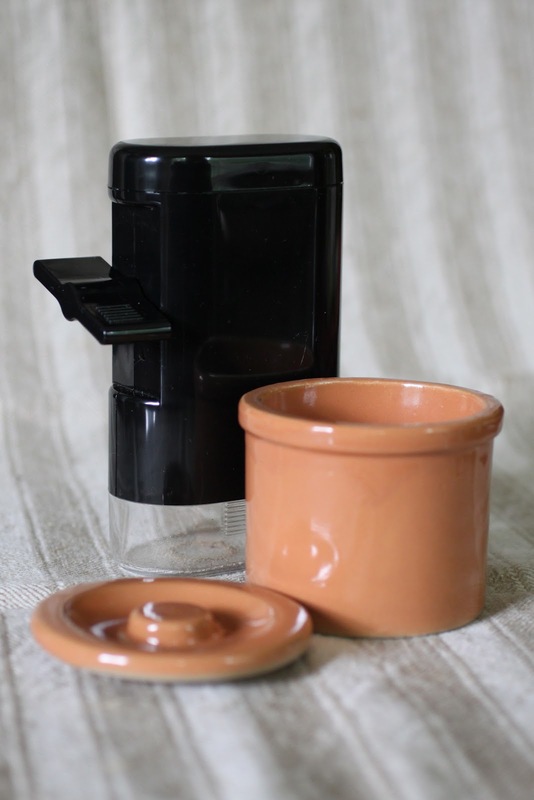 As these things go, it is usually quite inexpensive, and can often be picked up for less than ten dollars a dinner plate, and sometimes for substantially less. At such prices, who cares if a plate chips or cracks? Buy extra for breakage! Yesterday, when out and about in the town near Darlington where we do much of our shopping, we came across a table piled high with Wedding Band China sitting in front of an antiques dealer's shop. Pawing through the assortment of offerings on his Saturday sidewalk sale table we came up with nearly two dozen plates in varying sizes that we were able to buy for only one hundred dollars, or less than five dollars a plate. Try coming away with that kind of bargain at Crate and Barrel, Dear Reader! 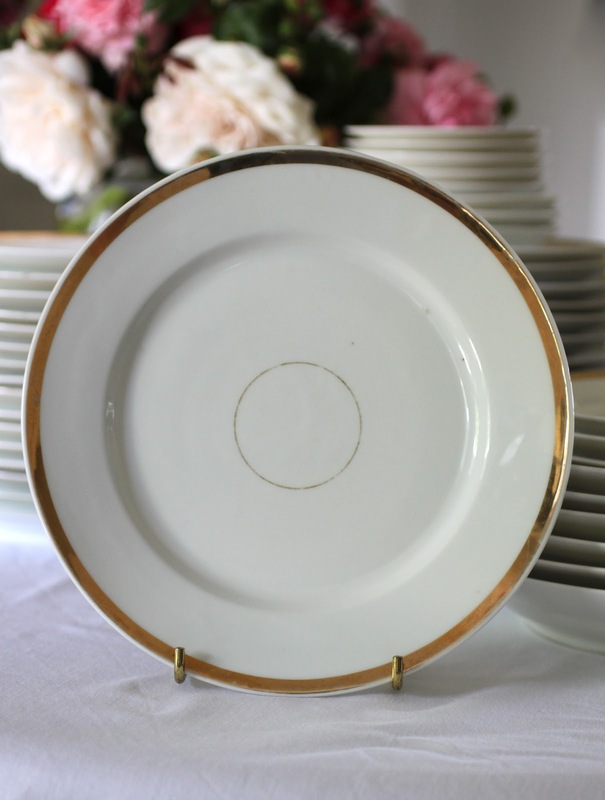 With but a quick sudsy scrub our once dusty plates were gleamingly clean, and they are now safely stowed in the dining room cupboard at Darlingon House, awaiting their next act. 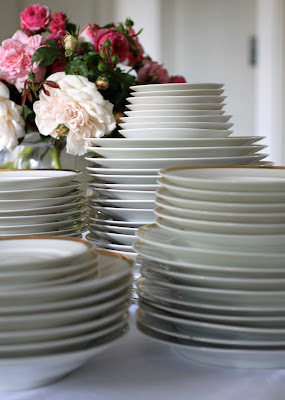 And, to that end, just today at luncheon (eating off of two of our new/old plates, I might add) Boy and I hatched a plan to host a large bruncheon party in the not-too-distant future, where our expanded pile of plates will be a most useful and pleasing addition. Reggie urges you, Dear Reader, to keep an eagle-eye out for Wedding Band China and to amass stacks of it to use at large buffet parties, as we do at Darlington House. 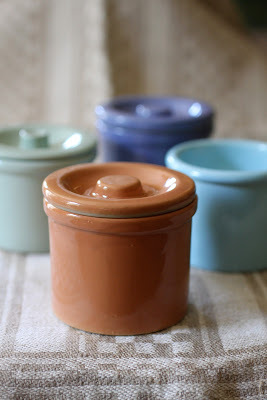 The subject of today's essay is the vessels we use to hold salt. 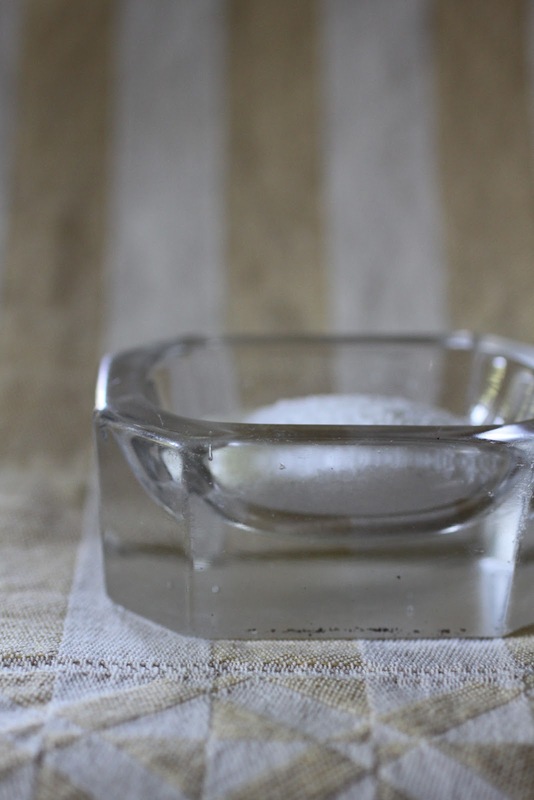 As I wrote in last week's post, we do not shake our salt at Darlington House, but rather we pinch it and sprinkle it with our fingers. Although we have a collection of small silver spoons to scoop up salt from our cellars, we gave up using them years ago. Too fussy and "genteel," in my view. Besides, I like using my fingers to pick up the perfect amount of salt to season what I'm eating or cooking. 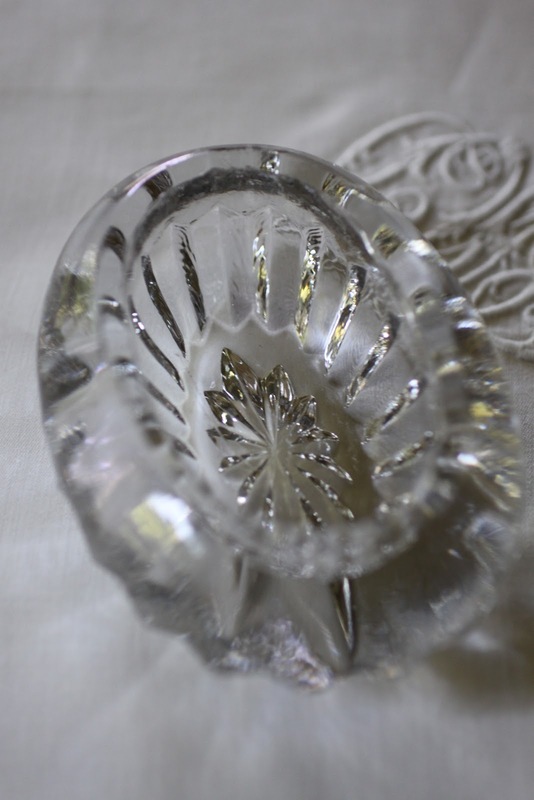 At table in our dining room at Darlington we mostly use cut-glass salt cellars. 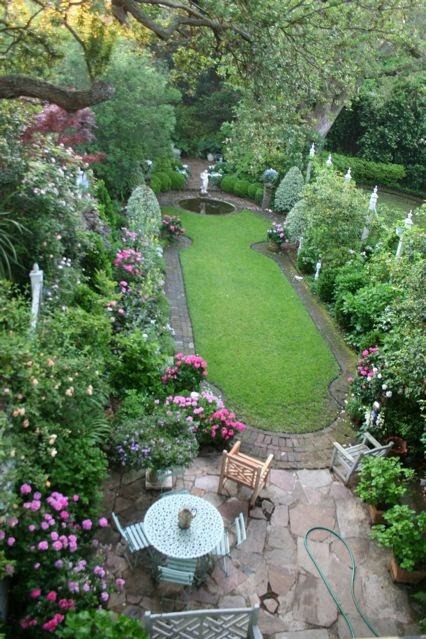 Some of them are from the Regency period, and some of them are later, in the Regency style. 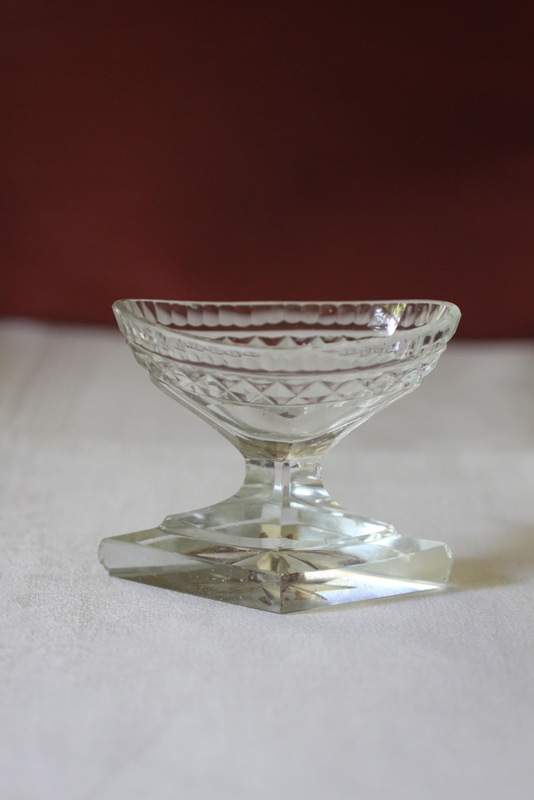 We have them in various shapes and sizes. 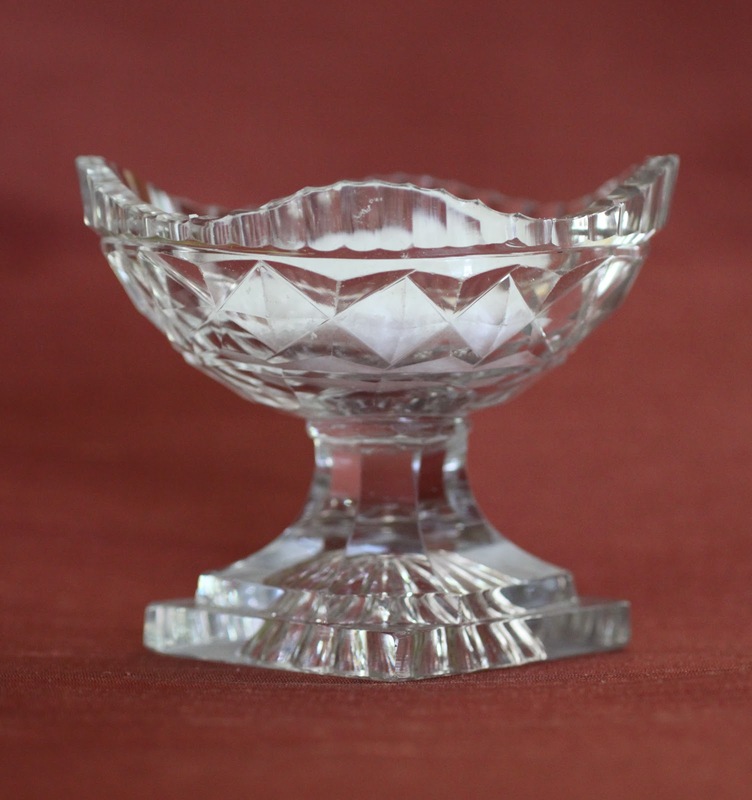 We have other salt cellars, too, some of which are made of Sheffield silver . . .
. . . and some of which are made of mercury glass. Boy found this tall mercury glass footed salt that we sometimes remember to use. At our kitchen table we use heavy glass cellars for "every day." We also use an antique horn pepper and salt cellar, from time to time. 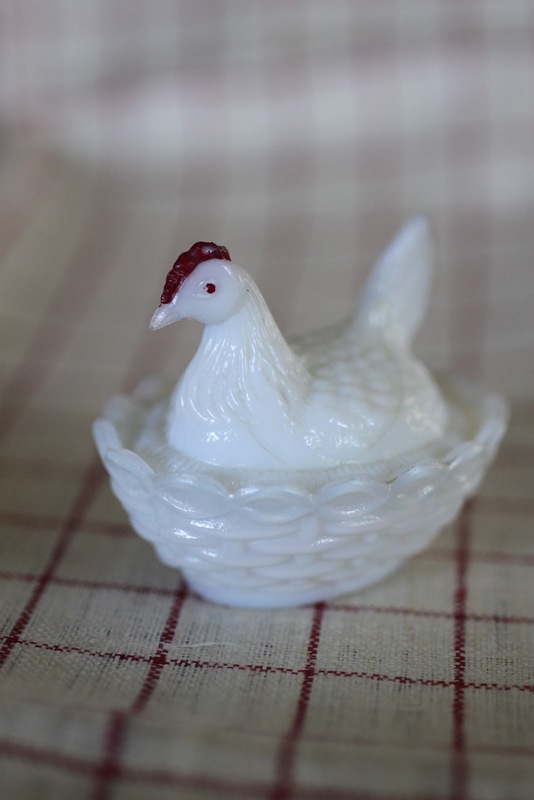 I found this little milk glass chicken-in-a-basket salt cellar in one of the cabinets at Darlington House after we bought it. It was left behind by the previous owners, the Procters. I like to use it at breakfast. For cooking we have glazed earthenware containers to hold different types of salt. 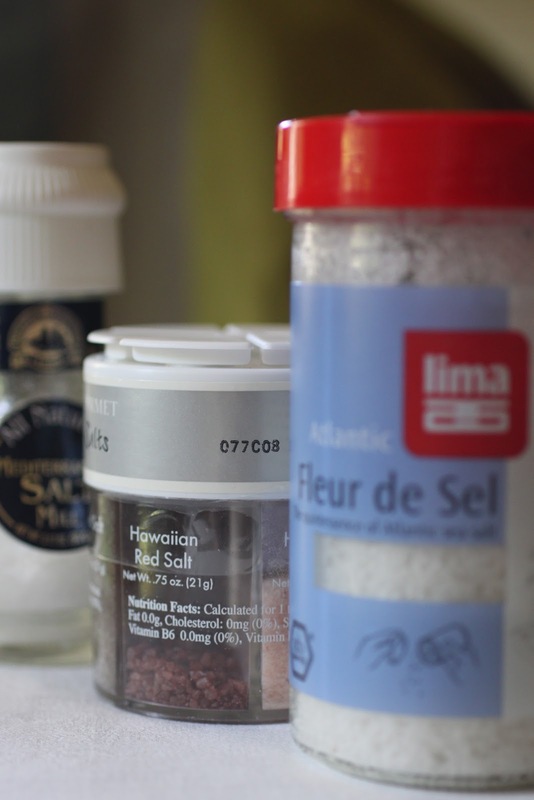 We fill our cellars with a variety of salts, including fleur de sel, kosher salt, and assorted flavored salts. Tell me, Dear Reader, do you pinch or do you shake? There was a time, not so long ago, when certain louche men of café society rather naughtily referred to a pepper mill as a "Rubirosa." I'm not going to explain exactly why, Dear Reader, but if you're curious to know the reason, it's easy enough to find out why by doing only a modest amount of Internet searching . . . But that's not the subject of today's post. No, today's post is about the pepper and salt containers that we use at Darlington House. 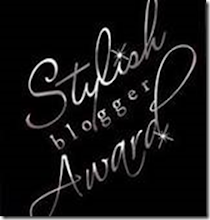 Not quite so thrilling a subject, perhaps, but certainly a more appropriate one for this blog and for its readership. 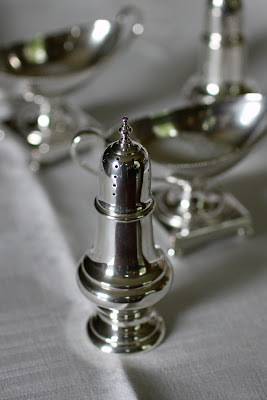 When we first bought Darlington House and began to entertain in earnest, we used at table the silver pepper shakers that I grew up with, a wedding gift to my mother, MD. 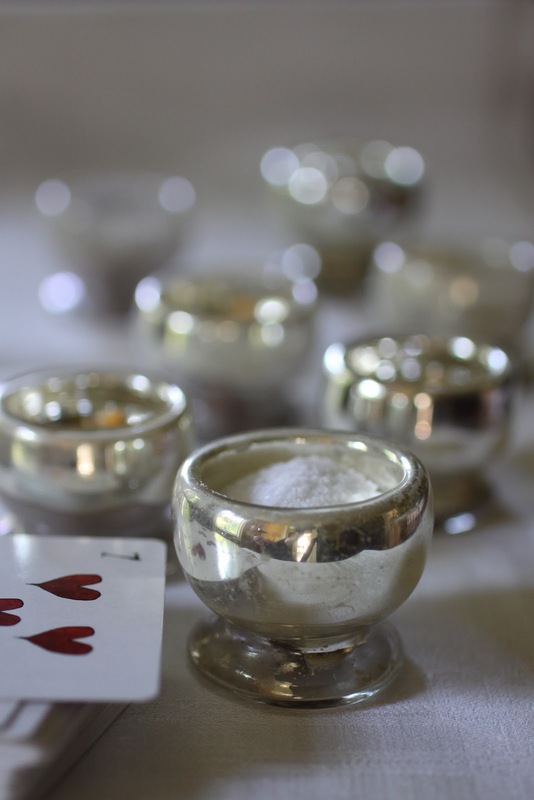 They are in the shape of miniature eighteenth-century silver sugar casters, and they hold finely pre-ground pepper. 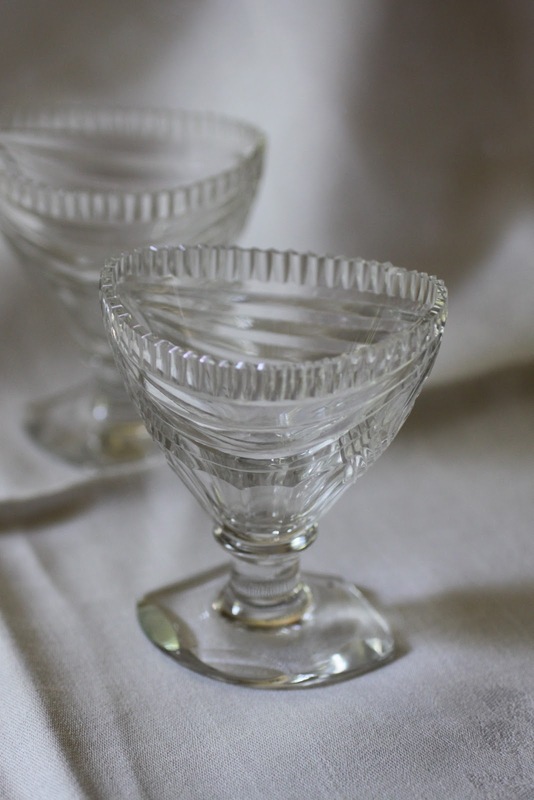 I paired them with an early set of Sheffield salts that I found on eBay. 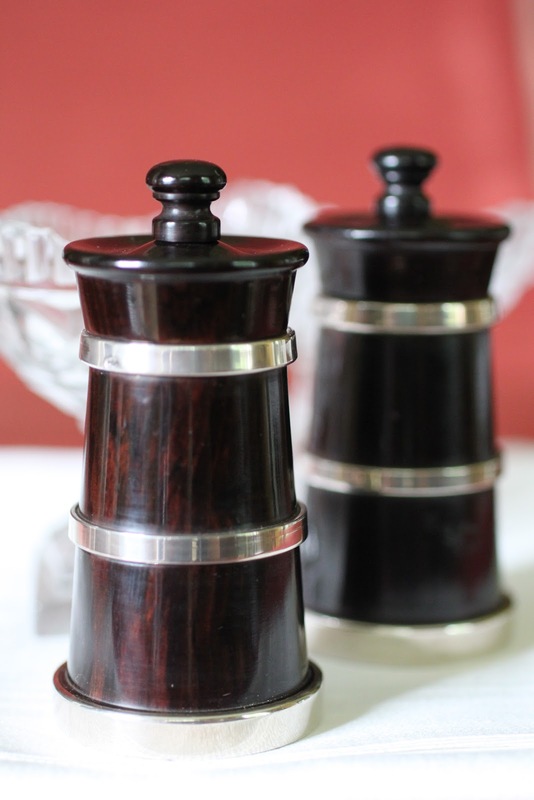 Over time, though, I traded MD's silver pepper shakers for silver-banded ebony pepper grinders that I found at Scully & Scully on Park Avenue. 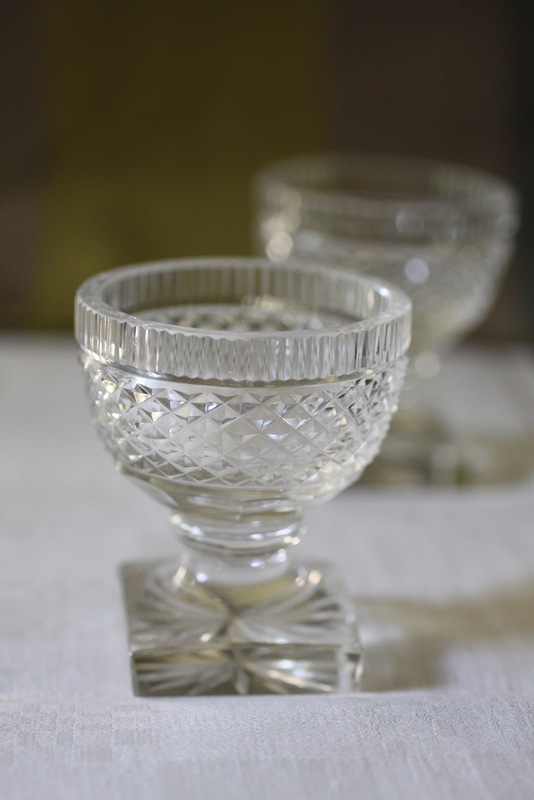 We pair them with unmatched Regency cut-glass salts. This is what we use at table today at Darlington House. In our kitchen, though, we use more humble vessels for salt and pepper. When cooking, we use a latch-grinding pepper mill, and we have several earthenware salt containers to dig in to for pinches. 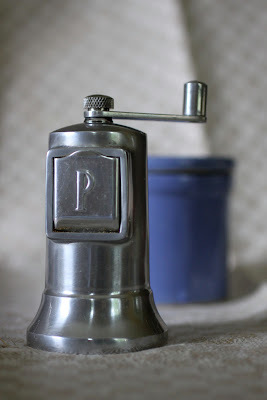 At our kitchen table we use the Peugeot grinder shown at the outset of this post, along with a heavy glass salt cellar. They are both very satisfying to use. Interestingly, we haven't a single salt shaker at Darlington House. 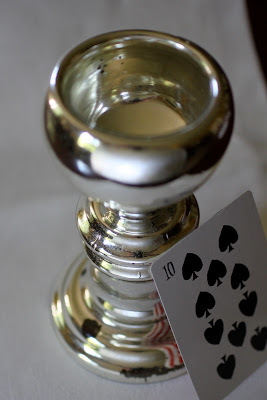 We only use salt cellars, the subject of a subsequent post, Dear Reader. 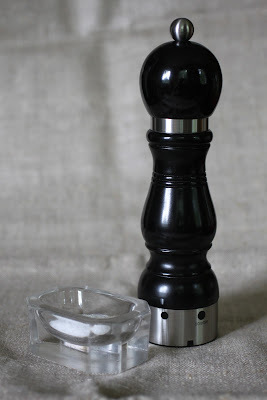 Tell me, do you administer your pepper from a grinder or a shaker?